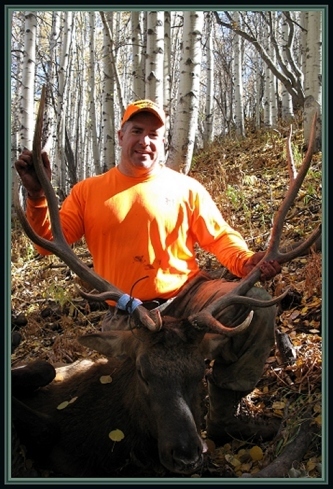 Come and enjoy a Colorado elk hunt with the Hills Guide & Outfitting Services. Hills Guide Service, has been a family run outfitting business for over 32 years. 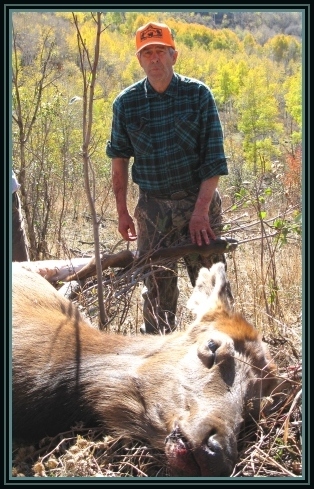 During this time we have seen a great increase in the elk herds. This was due in part to the point restriction for a number of years. It is still in effect in our area. It is common to see 5 and 6 point bulls (western count). Colorado is fortunate to be home to the worlds largest elk herd and each year Colorado hunters harvest more elk than any other state. come hunt with the Hills in Colorado's high country. You can find us on the Western Slope of Colorado. Fifty miles from Grand Junction, Colorado and 14 miles from Collbran, Colorado, the nearest town. Our private land is 2 miles east of Vega Reservoir, the last private land next to the Grand Mesa National Forest where our outfitters permit includes Plateau Creek, Two Creeks and Harrison. 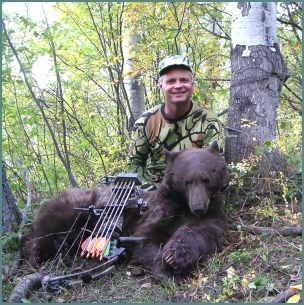 We are now offering a quality black bear hunt. We are pleased at the ever increasing black bear numbers in our area. The bear population is growing, so you might consider a black bear hunt also. 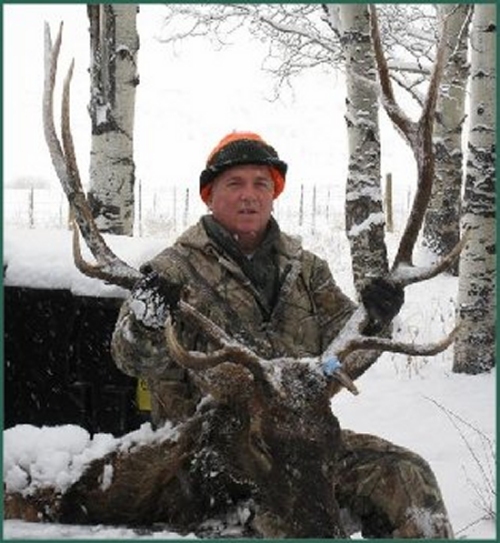 With over 30 years as a professional Colorado outfitter, we can offer you a great Colorado elk or deer hunt and memorable vacation. We hunt area 421 on private land and the adjacent Grand Mesa National Forest. Our permit area is at the East end of Grand Mesa on Plateau Creek and Harrison. Come and give us a chance to help you enjoy the Colorado backcountry and go on a hunt you will be sure to remember. Expect the hunt of a lifetime. see your dreams come true.! Back to more guides/outfitters on Sportsmans Dream. Sportsmans Dream is your leader in the high-tech industry of Online Marketing. Our marketing services are designed to make your company the leader in online marketing within your industry. Copyright 2000 © Sportsmans Dream All Rights Reserved.